Farms and country homes often keep “mousers” around to control rodent problems, but is that the answer for NJ pest control? Surprisingly, recent studies indicate the solution may not be that simple. Do Cats Deserve Their “Killer” Reputation? Domestic cats have long been considered aggressive and effective predators. That view seemed to be supported by a 2017 study which found that cats played a part in the extinction of more than 60 vertebrate species around the world. However, the fierce reputation of cats took a hit with a study published in the September 2018 issue of Frontiers in Ecology and Evolution. A team of researchers spent five months observing a colony of approximately 150 rats at a Brooklyn waste management facility with the original intent to study animal pheromones. 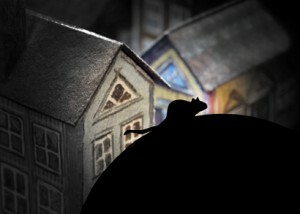 During the final 79 days, the project evolved into a study of cat-rat interactions. Scientists were taken aback to find that cats attacked a total of only three rats, and one actually survived. – Urban rats are notoriously large, so cats may opt for easier prey such as birds and mice. – Rats tend to seek cover when they sense the presence of cats. Before you stock up on kitty litter, contact Stern Environmental. Our commercial NJ pest control programs eliminate rodent problems efficiently and discreetly. 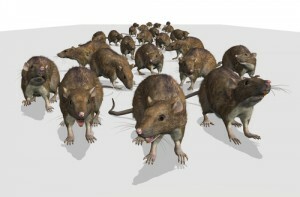 Rats Work In Teams, If You Have one, You Probably Have More. With the changing of the seasons approaching fast, outdoor pests such as rats will be looking for warm environments as the temperature drops. 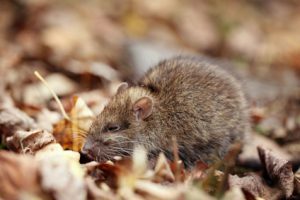 Don’t wait until they’ve established a winter home, start looking for signs of rat activity early so your NJ pest control technician can eliminate the problem. Rats leave telltale signs and signatures to let you know they’re out and about. Below are a few of the most common signs you’ll see and hear in and around your home. Noises – One of the most noticeable signs is a scratching sound. Whether it’s emanating from the ceiling, attic, or walls it’s a good chance the scratching sound is being made by rats. Rub Marks – A rat’s coat is greasy, which attracts dirt particles. As they pass along and rub up against the baseboard, wall, or windowsill, greasy smudges are left behind. Rat Droppings – If you see dark-colored feces about the size of a grain of rice, you have most likely found evidence of rat droppings. Rat Nests – Shredded fabric, paper, and insulation are a sure sign of rats. 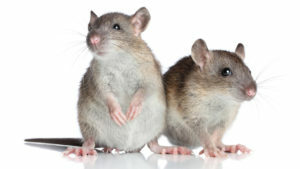 Our NJ pest control professionals know what it takes to get rid of a rat infestation. With an inspection, we’ll know the severity of the infestation and provide you with a plan of action. Don’t hesitate another minute, contact Stern Environmental for information on the latest in rat removal technology.